"Working at Clear Track is a pleasure. The staff are friendly and competent - they are there to see I get the results I'm going for." "Clear Track has one of the best live rooms in Florida for drums. The staff is exceptional and our experience was top notch! Can't wait to get back for my next record. The Control Room is extremely accurate and has all the gear that you would ever want! Thanks so much." "I have finally found another pair of ears! Spencer is one of the best Engineers / Producers I have worked with. His dedication and support during the sessions were exceptional. Spencer created a flawless Analog / Protools process which enabled me to fully capture and create the vintage analog sound I was going for. Clear Track Studios is a world class studio with all the classic vintage gear and instruments. All the gear works and is maintained to perfection. Also has all the current digital processors and plugins creating a perfect marriage between analog and digital worlds. This coupled with a friendly knowledgeable staff makes this my new "go to" studio! Clear Track Studios will meet and exceed all your recording needs and expectations! Highly recommended." "This is the first studio I’ve been at that I didn’t have to step to the back of the room to hear how the mix sounds." "Everyone who works at Clear Track were completely professional, mixed in with a healthy dose of kindness and helpfulness. I got the best bass tone of my career. Spencer is a guy with a work ethic and musical ears. All in all, from a scale of 1 to 10, I’d give Clear Track an 11!" "The drum sound was killing!!!" 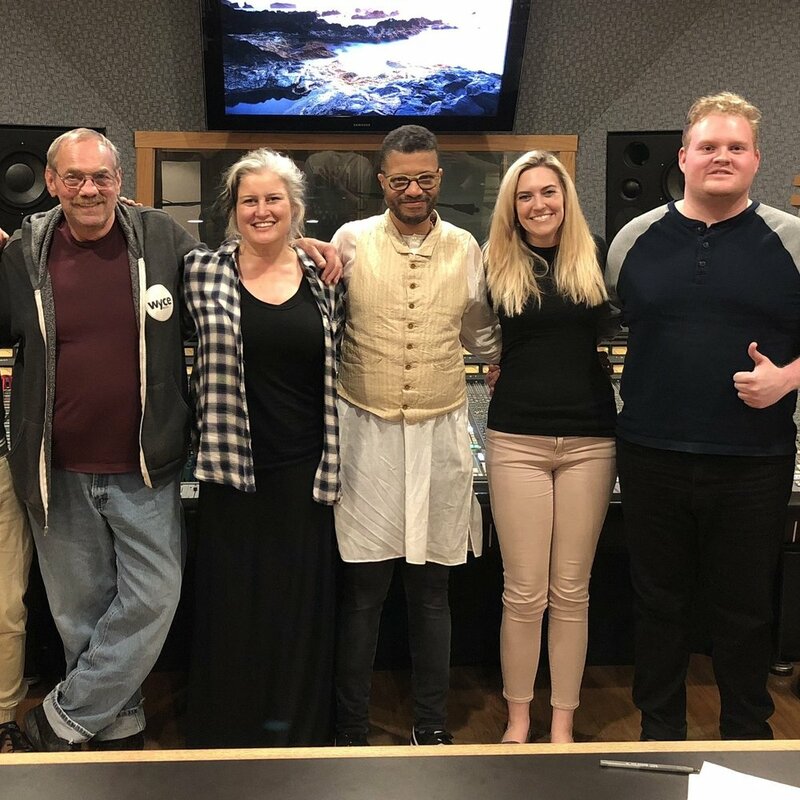 "It was such a pleasure to work with Spencer, Mike And Clear Track Studios on the recording of several tracks, absolutely obsessive mixing process and the final touch of creating the DDP Master. You guys were so patient with me and really worked hard on helping me get it to a place that felt good for all of us. I hope you enjoy the album as a whole and feel proud of your work! Thanks again guys - YOU ROCK!" "I want to thank the owner and staff of Clear Tracks Studio in Clearwater Florida. I had an incredible experience yesterday producing Gustov from Sarasota. You all made me feel welcomed and helped me feel at home. Being a stuido owner in L.A. I had many needs, I was totally impressed with the studio and the staff. Clear Track not only has great rooms and gear but most of all the vibe is what I appreciated the most, warm and friendly. I had the pleasure of working with Spencer, the hardest working and most efficient engineer I could have asked for. He is truly intuitive and we worked like we have been working together for years. He made it easy to do what I do. He is not only highly professional but has a great personality. I never usually go on like this but they deserve all the positive feedback I can throw their way. I will definitely be working with them again soon." "I never knew this studio existed, and I’ve been here for 5 years. I know now and I will be recording here from now on. Clear Track Studios rocks!" Musician and Songwriter from the famous 70s group "Firefall"
"Clear Track and the staff are absolutely amazing, Mike Johnson is a total sonic badass." "Clear Track is a beautiful studio filled with people who are genuinely concerned with your own experience. I enjoyed being able to feel open and comfortable about where I was and who I was working with." "When it comes to recording, there are many things to look for both in your studio and engineer/producer. Spencer and Clear Track Studios encompass what it means to foster art and creativity. One of the most crucial aspects to finding the right place to record is the atmosphere. The vibe in Clear Track is one of open communication and friendliness. Spencer's willingness to do his all to produce just what you want to hear is only surpassed by his technical ability to make it happen. Never a negative word, there's never a problem only steps in the journey to realize your musical vision. We found the equipment at Clear Track to be impressive, but more so Spencer and his teams knowledge and ridiculously high level of proficiency with it. The studio it's self is state-of-the-art, rivaling some of the largest studios around. Spencer's knowledge of the gear and recording programs is impressive to say the least. In my 15 year career, this has been the most productive, positive and enjoyable recording experience I've ever had. We plan on a long fruitful familyship with Spencer and Clear Track Studios. We thank them from the bottom of our BEARDS!" "Clear Track was an amazing place to record my EP. I worked mainly with Spencer, but I was able to also collaborate with other producers and mixers from Clear Track. Spencer was very attentive to my ideas and listened to what I wanted my sound to be. It was something very difficult for me to articulate on my own, but I gave him some sample ideas and he was able to produce exactly what I was looking for. Everyone was so awesome and I want to say a BIG thanks to everyone there." "Our experience at/with Clear Track has been extraordinary! In this age of ProTools and related home recording technology, it is easy to overlook the value of a stand-alone, 'real' recording studio. Nothing can replace the experience of a pro-tech like Spencer and the entire staff at Clear Track. Also, nothing can replicate the authenticity of vocal tracks being cut in a big room with great mic'ing and the best outboard gear in the world. Our 10 hour session with Spencer is the best recording investment we've ever made! 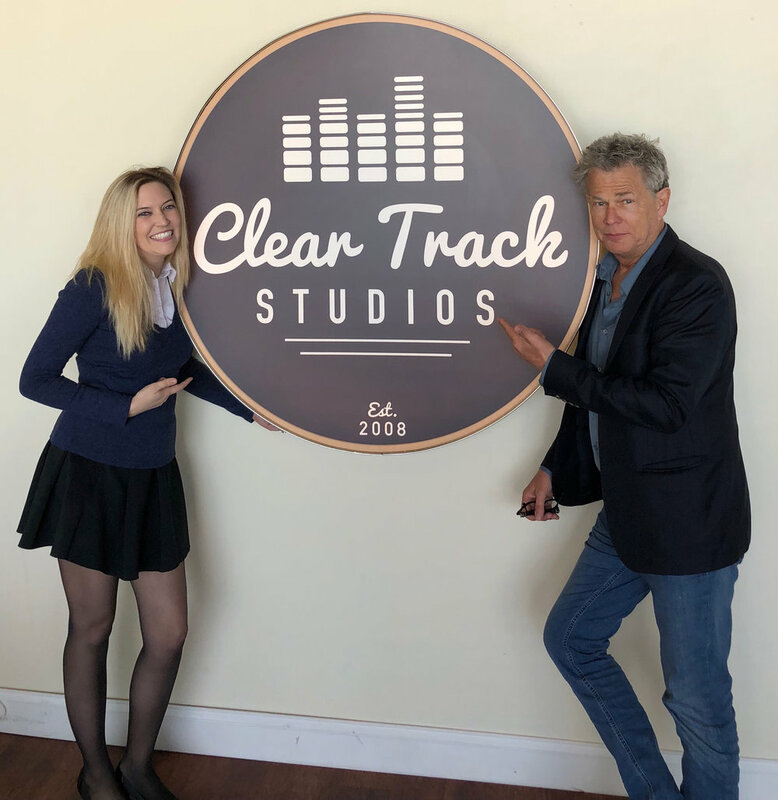 If you want a truly professional end-product and a talented staff to help bring it to life, Clear Track is THE place!" "Clear Track Studios is very professional, yet has a laid-back atmosphere. Endless entertainment on the super arcade. The overall quality in product and passion of its staff. We'd like to offer our highest honor - a gold star of excellence - to this establishment. Application to forehead not provided. [Our producer,] Spence, is an old fashioned dreamboat. From the many reviews we've heard about him, we knew we'd be well-off. He took the time to ensure we were of equal understanding in what we wanted and how we were going to execute that. He genuinely cared about the quality of every element going into the tracks and didn't shy away from generating enhancers where he sensed they could be placed. Wouldn't hesitate in the recommendation of Spence to any artist. The man just does great work." "I advise everybody to record at Clear Track Studios in Clearwater, FL. Best of the best. Ask for my engineer, Alex 'MixedByLex' Romero." "Spencer is a creative, professional and hard-working guy, but above all he is so easy to work with. He helped me work on a pop-rock track with live instruments. From scratch track to practice to recording, Spencer was there to brings my visions to life. It was my first time in studio; he was positive and encouraging and made me feel comfortable with expressing my music. You can absolutely count on Spencer to give you a good experience and an outstanding production. " "The moment I first stepped foot in Clear Tracks Studio I felt a sense of welcoming. I was nervous to pick which recording studio/producer to work with because I had no idea about much in this field. When I first met Spencer, I right away decided I felt comfortable breaking out of my shell and pushing myself with him as my producer. He was easy going and put off a happy vibe. Everyone was positive and comfortable to be around.I can't wait to work on many more and possibly some collaborations!" "I enjoyed everything about my experience at Clear Track. The location and the staff have all been awesome! I'm really excited to continue working with both Spencer Bradham and Alex Romero. These guys really know what they are doing, they work quickly, they have all of the studio toys you could possibly want and they are simply pleasant to be around. I was looking for a place to record where I had chemistry with the engineers. Jeral and I are looking to have an amazing and fruitful relationship with Clear Track Studios!" "Recording at Clear Track Studios was an absolute pleasure. Every aspect from tracking to completing the final mix was seamless. Spencer and Mike not only have incredible ears, but also have such great personalities to work with. Colleen was so sweet, in addition to being an amazing help with all of the logistics. It was evident that their goal was for me to be truly happy with the final product. I will definitely be returning to Clear Track for my next music project!" "Clear Track, Mike, Spencer, Colleen, Jim, everyone! Recording here has been a dream come true. Friendliest, most professional staff you could imagine. Breath-taking production quality. (I'm not crying, I just have something in both my eyes)... You all are the best, and I cannot wait to work with you again!" "I've had the pleasure of recording in some amazingly beautiful studios, and I'm proud to say that Clear Track Studios is absolutely one of the best. Between the SSL console, the Studer tape machine, and the Clasp system, Clear Track has captured what I'm seriously considering one of the best drum sounds I have ever heard. The sound of the room, and their miking techniques are incredibly spot on. The staff is there for only one reason-they absolutely LOVE the music. Dave is a fantastic engineer, and Mike is quickly being accepted as a genius. There is nothing pretentious about Clear Track; you get what you pay for. A state of the art recording studio, with a great vibe, and great people. Don't waste your time trying to remix your old sessions, get in there and cut it the right way, I promise you won't regret it." "If you need professional audio recordings, you are throwing your money away unless you go to Clear Track Studios. Few people may have the equipment, less know what to do with it. Even fewer studios would go the extra mile to ensure the very best is being recorded. Even fewer than that have the equipment, knowledge, encouragement, work ethic and service at a reasonable price. This is the place. We are definitely booking more time there. Thanks to Spencer, Mike and Colleen." "I enjoyed the freedom that the staff at Clear Track allowed me. In my past experiences at studios I was use to the staff always being over my shoulder not allowing me to be creative and comfy. At Clear Track I felt whole-heartedly at home! Working with Victor was an unforgettable experience. We initially met prior to this date at work and we spoke of music, but working with him was a true testimony of a partnership. We had an instant chemistry that I believe will create a brighter future for us both." "We had a great time recording at Clear Track Studios. The staff and facilities were top notch and it was great to finally find a studio with a great drum sound in Florida. Spencer and Mike were great to work with, very professional and delivered a great final product for the band. We will be back!" "Always a great vibe working with MixedByLex he is great as was he does!" "My experience recording at Clear Track Studios was first rate. The staff, the rooms, the equipment, and the vibes were all great. And the CLASP system really took things to another level since I prefer to work in the analog realm. I’ve worked in many of the top studios in New York City and Clear Track compares favorably with the best of them." "Recording at Clear Track Studios is always a experience! Clear Track is a nice, clean, and friendly environment. I feel at home as soon as I walk through the door. Clear Track provides state of the art equipment, a professional sound, and an incredibly talented staff. I've been recording at Clear Track Studios frequently all year and I never leave unhappy. Clear Track is pound for pound the best studio with the best staff." "We had Mike mix a few of our songs. Throughout the entire process he was courteous, generous and totally dedicated to bringing our music to it's fullest potential. His investment into our music was apparent & resulted in tracks that we couldn't be more excited about. We will be back as soon as possible. Couldn't be more satisfied with Mike as well as the rest of the Clear Track staff." "Clear Track is very welcoming and professional place. Our producer, Spencer Bradham, was a hard working guy that helped push us to get the best possible sound. He brings a lot to our songs because he is a musician and adds so much that wasn't there before. Spencer is like hanging out with a friend you've known for years. It's comfortable. And generous because he went above and beyond to ensure that the project was completed. It was a great experience and we’ll definitely be back again." "Positive vibes. Professional and friendly staff. Easily one the best studios FL has to offer." Singer-Songwriter from the band "Spy On The Land"
"Spencer and Colleen are great. We are working on my first studio EP, and they both have been generous, professional and have exhibited great skill in the areas of what they do. Our band's session with Spencer was the first quality step into melting our project sound together. He is great at listening for those subtle colors that we as artists long to be expressed. And the studio is set for success with some instrumental gems. That snare drum is magical! I can't wait for the next jam." "State of the art studio with the most experienced, most professional creative team in Tampa Bay. I highly recommend them!" "The staff was professional and easygoing, the room sounds amazing!" "Clear Track Studios is a shining example of what a studio should be. They make good suggestions, work hard on all of their projects, and speaking as a client, they literally made some of my dreams come true. They are very accommodating and helpful with supplying their clients with everything they need. They create amazing work and have definitely won themselves a life customer." "Absolute BEST recording experience ever! I have been blessed to work and record with amazing and talented people in my life. This surpassed all expectations and produced a product that has left everyone speechless at the quality. Definitely recommend and will continue my project there." "You wanna know why my project and music sounds so professional? Alex Romero. Without him and the sound he has created for me, nothing would be possible. The man behind the board makes a major difference. If you want professional quality sound book a session with MixedByLex at Clear Track Studios. He is the only engineer I let touch my mixes." "Alex Romero has an ear for excellence! I have been able to trust him with each and every one of my projects without concern or worry. His ability to pull out the best sound in everything he touches is outstanding. Without me even saying a word, he has been able to grasp the direction I am moving and translate each song into something I am truly satisfied and in love with. Being able to trust an engineer like that speaks levels for any artist. Overall, Clear Track Studios have been great! Their staff have all greeted me with such warmth and professionalism. I am looking forward to making more music with them in the near future." "Working with Spencer was very easy. He's a really laid back guy, very down to earth. That helps take pressure off of us, we didn't feel rushed or like a bother, so in turn we performed our parts with ease and were very comfortable giving him our opinions on what to do with our music. The engineering experience was impressive. He definitely has an ear for music and that skill is invaluable. He had honest feedback and it helped us get the best out of our music." "My experiences with Clear Track never cease to amaze me! This particular session I got to work in the prestigious Studio A with my favorite engineer Spencer Bradham. He made the entire process so smooth, it felt like everything was on autopilot! His skill is unmatched, I would Highly recommend any level musician working with him! Steven Clark did a fantastic job putting the finishing touches to everything. Worth every penny, can't wait to record at this facility again!" "My experience working with Clear Track Studios was amazing! I spent a lot of time deciding on a studio for my first professional project and I am more than happy I chose Clear Track. Everyone was supportive and there for me whenever I needed them. They made the entire process easy and fun. I am already planning my second project and cannot wait to complete it here!" "We really enjoyed the apparent skill and care that the engineers employ, but most of all the creative atmosphere that Clear Track upholds. It is a relief to take a break from busy college courses and work to perfect your craft in the best studio in Florida!" "Another great experience at Clear Track. The efficiency of the staff contributed to me being able to complete my project in less than the expected time. Gotta love that!" "First off, I want to say that Alex is one of the best engineers that I've ever worked with in the Tampa Bay area. I was searching for my sound for 3 years now and Alex found it in 3 minutes. He is very professional and he will also push you as an artist to try to do things even you think you can't. Hands down, Clear Track is the best studio around!" "Starting with the scheduling... The girls were awesome. Very informative and super nice. Once we made it to recording, our engineer was great!! He knew exactly what he was doing and we didn't feel like any of our time was wasted! Will definitely be back! Thanks Clear Track!" "Fell in love with Studio B. Alex is the man! I would recommend Clear Track to anyone who wants to take their art to the next level." "David Steren and all of the Clear Track Staff were both super professional and friendly. I feel that by recording at Clear Track I can write the best record possible." "I am recording solo double bass, an instrument that is notoriously difficult to capture in realistic and holistic way. With Clear Track's high quality equipment, acoustically treated space and the creativity and vision of my engineer, Johnny Whiteside, I am getting a truly visceral, 3D kind of sound. It's clean, present, detailed and really close to the live acoustic experience. They treat me like a professional, and act professionally in every way. No cancelled sessions, detailed invoices, someone always available to schedule booking. They are on their game. Thanks Clear Track." "Alex Romero (@mixedbylex) has the best mix in the bay! When you're in the city, make sure you're rockin with him." "Alex is the best Audio Engineer in Florida. He really worked with me and my sound. Awesome dude." "Shout out to Clear Track Studios for blessing us for the good vibes. Shout out to the best engineer, Alex Romero, for doing it right and being the comedian you are!" "Clear Track is a great place to record and to do business! Very professional and a joy to work with. We will return!"